There are instances when our body feels like it is oozing with toxic substances that we wish we could get rid of it as soon as possible. That heavy and lethargic feeling may be due to the foods that we have been eating that are causing us to become sluggish. What’s more, this can also contribute to your weight gain which is something that you should be concerned with. Fortunately, there is a solution to this issue and that is to do a detox diet. 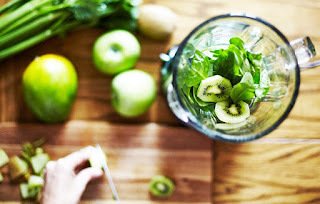 Detox diet is essentially a diet plan that helps in clearing up your digestive system of all the toxins that have accumulated there over time. This way, all the food that passes through your digestive system will be broken down and eliminated while the nutrients are then absorbed properly. Fortunately, this is not that hard to do because these tips are easy to do. If you are planning on doing a detox, green tea is a good place to start. This is due to the fact that this beverage is packed with antioxidants that help with the metabolic process. In order to use this drink as part of your detox, you should have a cup in the morning and at night, with a few throughout the day. This depends mostly on how much you want to achieve your detox results. You may be considering skipping breakfast because you want to lose weight, but this is not recommended by health specialists. One reason behind this is that you will be binging later on. You can start with something healthy such as oatmeal that is sprinkled with cinnamon, or apple with peanut butter spread, or perhaps unsalted nuts. These are just a few examples what you can have for your breakfast. What other detox method can you use to eliminate those toxins in your body? Well, you better start working out as exercise is one of the best ways to get you sweating a lot. Although you sweat naturally, it would help if you start working out, or at least be moving more. Not only will this eliminate the toxins, but it can also help strengthen your muscles and joints too. Another tip that you should follow when you are going to go on a detox diet is that you need to load up on liquids. Drinking up to 8 glasses of water per day can help flush out the harmful toxins that may have been lingering in your body. Not only that, but it will be beneficial for the rest of your organs too. You don’t have to push yourself too hard though to meet this number. Drink when you are thirsty and leave room for your tea and coffee too. You can tell if you are well hydrated when you are able to go to the bathroom and pee every few hours and that your urine will appear clear.